The Alpha® Hybrid AK Liner with symmetrical profile features hybrid gel, which has a higher durometer that combines durability with comfort. The liner features 9mm distal gel thickness and 2.5mm anterior/posterior gel thickness. This symmetrical design of the gel allows the liner to be rotated for extended wear. 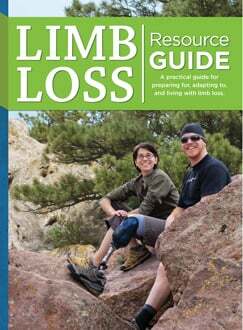 The liner's one-way stretch Select fabric controls pistoning without using a rigid distal matrix and provides tissue compression without uncomfortable pressure on the limb. A flexible accordion umbrella changes with the size of the liner, allowing it to blend with a patient's anatomy for an almost unnoticeable feeling. 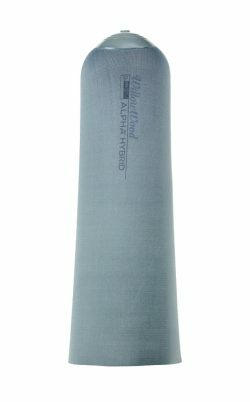 Knit-Rite's SmartKnit® AFO Socks now come in a new charcoal color, available in child-small, child-regular, adult-small, and adult-regular sizes. Patented SmartKnit AFO and KAFO Socks are seam-free, wrinkle-free, and fit like a second layer of skin, providing exceptional soft ness and wicking moisture away from the skin. 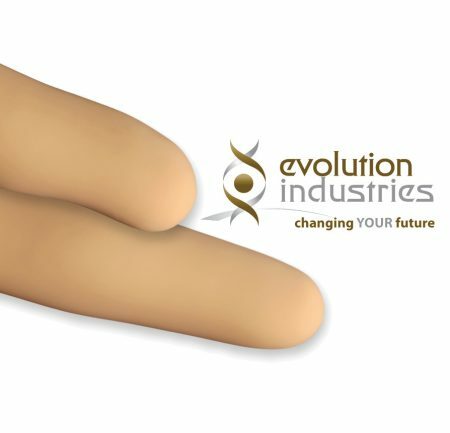 In addition to being free of seams and the pressure that seams cause, each sock features a "heelless" design to ensure a perfect fit every time. Antimicrobial fibers help inhibit odor in the socks. 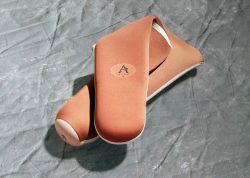 As prosthetists, our designers know the importance of a good fit. We also know that different clients have different needs and that there are times when an off -the-shelf TES Belt or Durasleeve will not meet those needs. 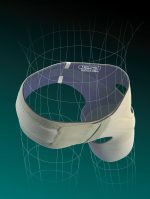 For those special clients, Syncor Ltd. off ers custom-designed TES Belts and Durasleeves. 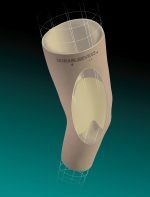 The ALPS Extreme Locking or Cushion Liner and the Extreme Sleeve have been designed for transfemoral and active transtibial amputees, respectively. They eliminate 80% of vertical stretch, resulting in increased contact while stabilizing redundant tissue movement. 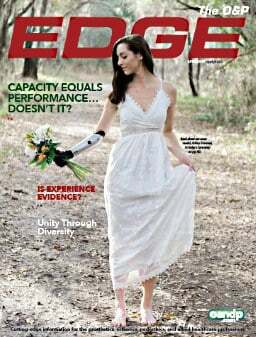 Both feature ALPS' new GripGEL™ to gently but firmly support the residual limb and sensitive tissues. Liners are available in 3mm and 6mm uniform thicknesses, in eight sizes. 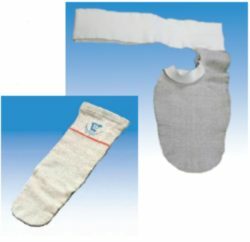 The Extreme Sleeve seals against the skin without restricting circulation. Grip-GEL helps prevent the sleeve from rolling down. It is available in 3mm or 6mm, in sizes 20-70cm. Brand new for 2011! Bringing College Park's innovative, composite technology into the K2 market, the Celsus combines proven durability with controlled stability. Its balanced design and natural motion provide smooth, stable transitions. 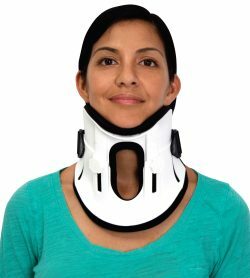 Th e perfect, lightweight design promotes confi dence and security for lowerimpact patients. Dr. 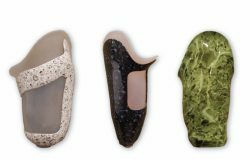 Comfort's Double Depth collection provides a half-inch more depth than our standard extra-depth shoes. 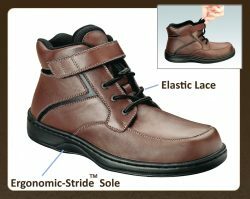 Perfect for the hard-to-fit individual who requires extra volume due to enlarged feet and ankles—such as swelling, edema, and foot deformities. 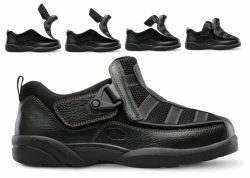 These shoes can also accommodate internal braces and AFOs. 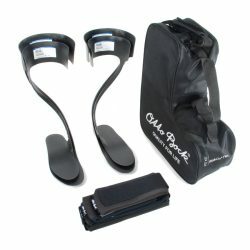 Give more of your patients the best fit possible with Dr. Comfort's Double Depth collection! By providing the finest in style, comfort, and quality, Dr. 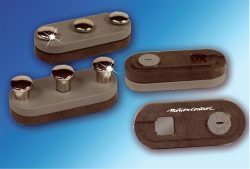 Comfort products help increase patient compliance and improve patient outcomes. 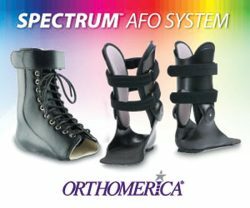 At the hospital, clinic, home, or office—evaluate your foot drop patients on the spot for a Walk On® AFO, with either the 28T1N Walk On Fit Kit or the 28T2 Walk On Flex Fit Kit. FREE iPad App Now Available! 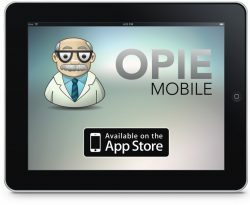 Schedule an online demo to learn more about OPIE Mobile. Friddle's new MINI-VAC 10-gallon Vacuum System off ers unmatched functionality and quality for your fabrication lab in a convenient, compact design. Our low-maintenance unit is designed for convenience and longevity and is made from the finest materials and components available. Purchase the MINI-VAC along with Friddle's VAC-MAC Vacuum Press (table) and SAVE $100! Vacuum pressure gauge  Check valve  10-gallon vacuum tank  Solid metal tubed hoses  Adjustable pressure switch  Automatic on/off switch  ¼-h.p. 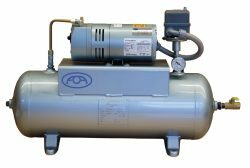 oil-less vacuum pump  36"W x 10"D x 22"H  115-volt, single phase. 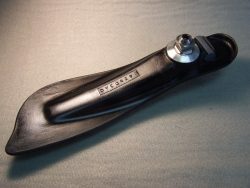 The new and improved Pyramid Receiver PR-SL-R-TI is the newest addition to Prosthetic Design's Pyramid line. 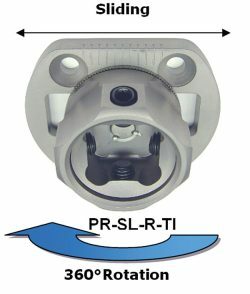 It offers sliding and 360 degrees of rotation with a low profi le of only 30.5mm. This component is manufactured of titanium and is compatible with the European 4-hole pattern. The rotation is locked into place by tightening the four adjustment set screws on the receiver. The rotation is positively controlled in three-degree increments with the use of interfacing radial serrations. The slide function is locked at the same time the receiver's four adjustment set screws are tightened. Easily adjustable vacuum; extremely lightweight. Simple, user-friendly design, and competitively priced! Special: Order a T.S.S. 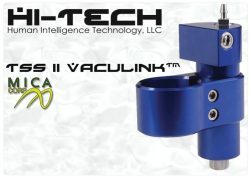 Vaculink Pump and receive a free Genesis II foot (220-lb. weight limit). Offer expires December 31, 2011. Big savings!! Dycor's "K Series" K3U* (L-5981) feet have been upgraded to meet the ever-increasing demands of "high-end" K3-level ADL with a new aluminum alloy dome/ titanium pyramid and integrated, fi berglass-reinforced foot shell. 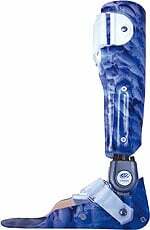 Dycor's sales policies minimize profi ts at the manufacturing and distribution levels, which allows prosthetists the greatest opportunity to maximize rehabilitation potential in their clients through our energy-storing technologies. Tired of Shrinkers Falling off Patients? Or Being so Uncomfortable that No One Wants to Wear Them? Our shrinkers are made with a gel locking system to keep them from migrating. 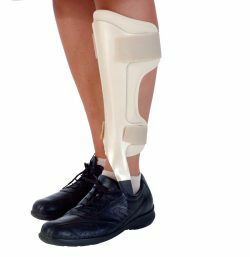 The X-Silver AK Stump Shrinker is made with a soft and flexible easy-wear belt that can accommodate waist sizes from 32-50 in. 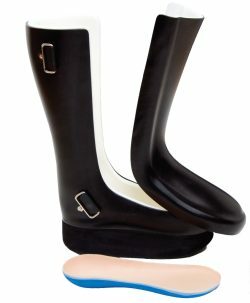 Both versions are seam-free and provide 20-25mm Hg medium compression. Available in five widths and three lengths.